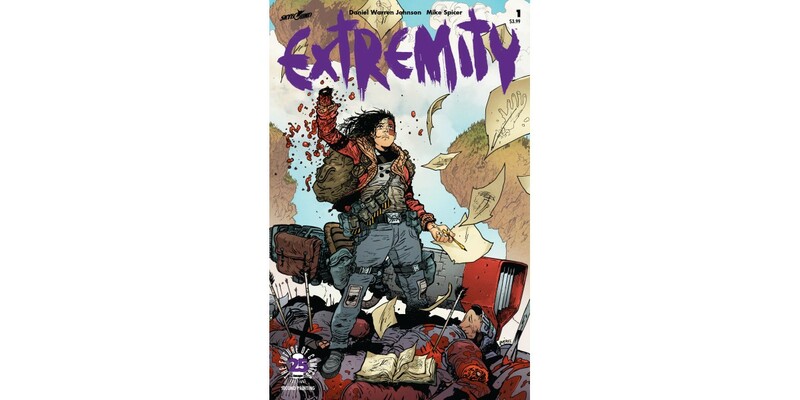 Image Comics and Skybound Entertainment are thrilled to announce that the first issue of Daniel Warren Johnson’s all-new war epic EXTREMITY is being fast-tracked to a second printing in order to keep up with overwhelming customer demand. In EXTREMITY, an endless cycle of violence has taken an incredible toll on two cultures—and one family in particular. Thea, once a phenomenally gifted clan artist, hungers for revenge on the clan that ruined her family. With ferocious battles between man, machines, and monsters ahead…who knows where her quest for vengeance will take her? EXTREMITY #1 remains available for purchase across all digital platforms, including the Image Comics website (imagecomics.com), the official Image Comics iOS app, Comixology’s website (comixology.com), iOS, Android, and Google Play. EXTREMITY #1, 2nd printing (Diamond code: JAN178583) and EXTREMITY #2 (Diamond code: FEB170645) will both arrive in comic book stores on Wednesday, April 5th. The final order cutoff deadline for comics retailers is Monday, March 13th.